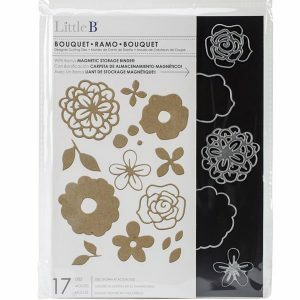 Bouquet flower die set by Little B. 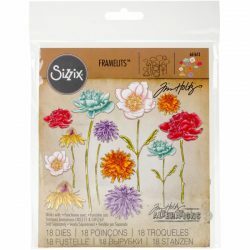 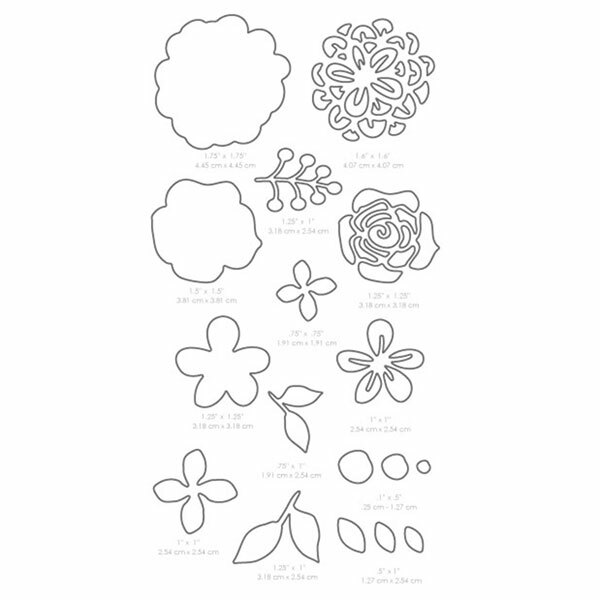 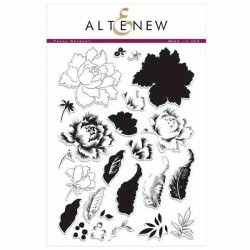 Create beautifully detailed flower and leaf designs with these elegant dies. 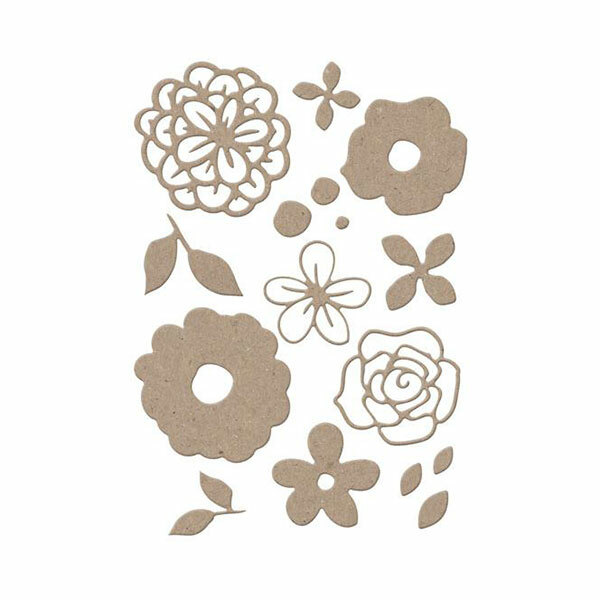 Each die design comes with one 8×6 inch magnetic storage binder to keep your dies in one place. 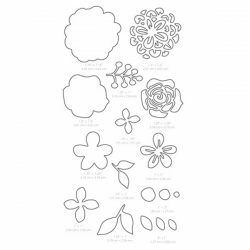 Cuts with most die-cutting tools. 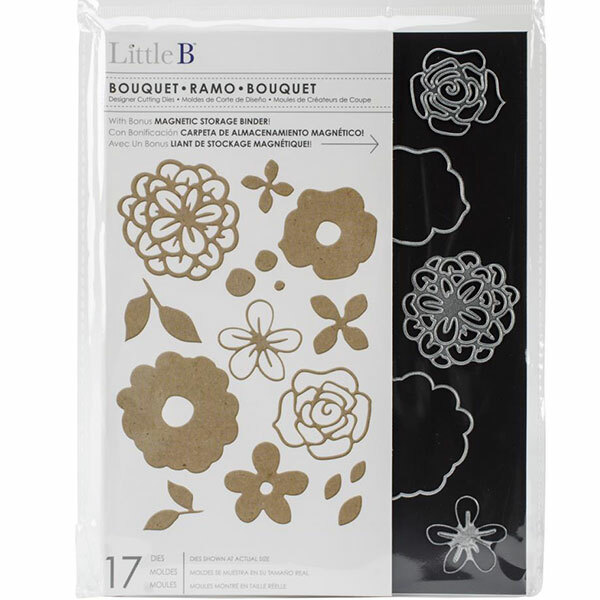 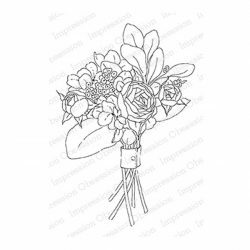 This package contains Bouquet: seventeen die pieces measuring between 1/2 inches to 1-3/4 inches. 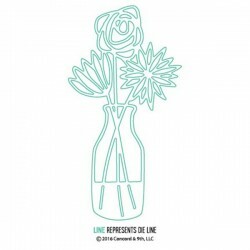 measuring between 1/2 inches to 1-3/4 inches.